A nice start into the new year! 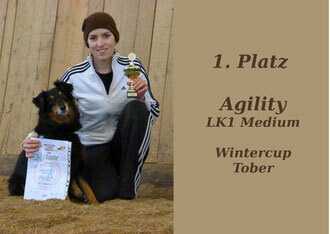 Pearl and I reached the first place in Agility Winter Cup tournament and Jack got ex1, CAC-SLO, CACIB, BOB and he got the title "Slowenian Club Winner 2013" at CACIB Ljubiljana. On Saturday the 12th January we went with Jack to CACIB Ljubljana/ Slovenia. Jack reached an ex1, CAC SLO, CACIB and BOB. After a great lunch in a slovenian restaurant there was a special show for British Sheepdogs in the evening. 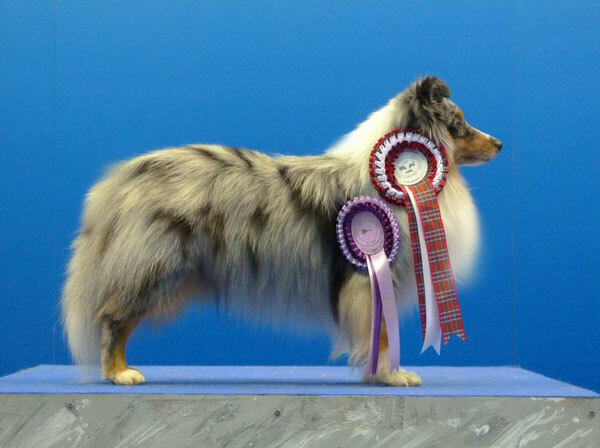 Jack got an ex1, CAC SLO, and the title "Slovenian Club Winner 2013". We also met some friends and spent a lovely day in Slovenia, thanks to Christopher for the great support! On Sunday the 13th Janury Pearl and I went together with Anita and Heiko to the first Styrian Agility Winter Cup tournament. The tournament took place in a riding hall in Tober/ Teichalm. It was the first time in a riding hall for us and the last training session was held in October. Pearl had much fun in the hall, did a fantastic A run without an error and got the best time. * veryproud* In the jumping we had 2 errors but we reached the first place in totel. I am very proud of my mouse. We met ​​many friends and had a nice walk on the Teichalm. At this point we congratulate Anita and Heiko to their 3rd error-free A-run! Thank you Anita for the ride to the tournament!